Shawn can slam dunk and deadlift over 500lbs for repetitions at 50 years old. Shawn Baker MD (@SBakerMD) is a board certified orthopedic surgeon, multi-sport world record holding Masters 50+ Athlete, and Zero-Carber (he just eats red meat, and a little seafood and cheese). Shawn’s background is fascinating. He played Semi-Professional Rugby in New Zealand, was a Lieutenant Colonel in the US Airforce operating as a Intercontinental Ballistic Missile Launch Officer (Nukes! ), and went on to become a surgeon operating in war zones in the middle east. He now practices surgery in New Mexico, US. 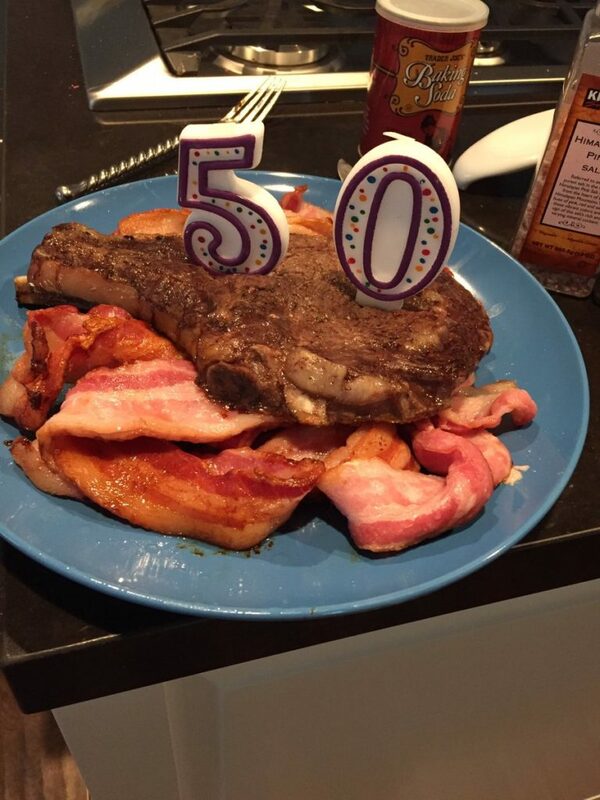 Shawn celebrates turning 50 with a ribeye steak and bacon. Shawn’s experience working as a Nuclear Weapons Launch Officer. 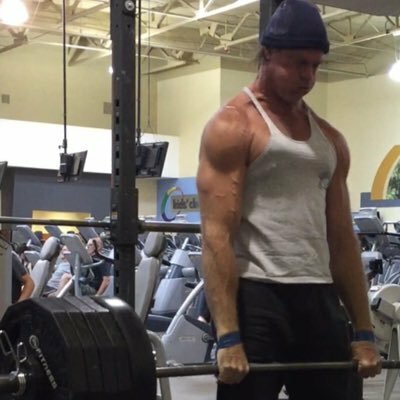 Shawn’s resistance training and skill training regimen and why he uses lots of plyometrics and other unorthodox approaches in his workouts. We talk about his Zero-Carb diet, what he eats, when, how much, etc. How his diet has affected his health and exercise recovery. The downsides to eating Zero-Carb. His thoughts on eating on the road and in social situations. This episode is brought to you by Hituni.com, providers of the best online courses in high intensity training that come highly recommended by Dr. Doug McGuff and Discover Strength CEO, Luke Carlson. Course contributors include world class exercise experts like Drew Baye, Ellington Darden and Skyler Tanner. There are courses for both trainers and trainees. So even if you’re not a trainer but someone who practices HIT, this course can help you figure out how to improve your progress and get best results. Check out Hituni.com, add the course you want to your shopping cart and enter the coupon code ‘CW10’ to get 10% off your purchase! What do you think about Zero-Carb? Let me know in the comments below. Hi Lawrence you moved here to Ireland? where are you based? btw very interesting episode! Thank you Edu :D. I’m living in Galway. You? Lawrence, why don’t you ask Shawn Baker why he lost his medical licence – and cross-examine him on his answers? There are also claims his blood markers are appalling – he’s pre-diabetic, Vitamin D-deficient, has low testosterone etc. Another obvious area to probe … but you dodged it. You come across as a giddy fanboi. Thanks for your feedback Roger. I have watched Shawn talk about his career challenges in length on his YouTube channel in a 2 part series https://www.youtube.com/watch?v=tA7OnnjLGcs. Furthermore, he addressed it on Rogan (https://www.youtube.com/watch?v=Yj_Bc9hdHa0&t=576s), and it’s just another example of how the medical industry is often focused on profit over efficacy. I don’t think you can say that his blood markers are appalling. I think it’s complex and there is a lot we don’t understand. Shawn had submitted and reviewed his blood test with Robb Wolf after he’d recorded the podcast with me so I didn’t that knowledge to probe, otherwise I definitely would have, and I’m sure it would have been a very fun conversation.